Review for the end of course Algebra 1 test with this set of review problems. 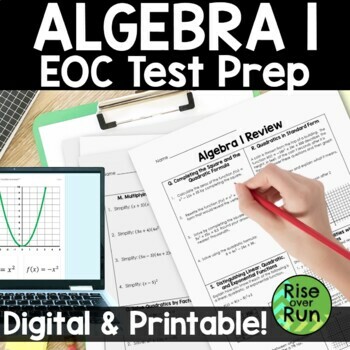 Print the whole set to create a Study Guide or use individual pages as bell work and homework at the end of year leading up to the EOC test. 20 major Algebra topics are included with 4 questions each. Questions are appropriate in preparing for Common Core CCSS Assessments, STAAR Assessments, or other similar Algebra I EOC tests. Want to encourage students to take ownership of their learning? 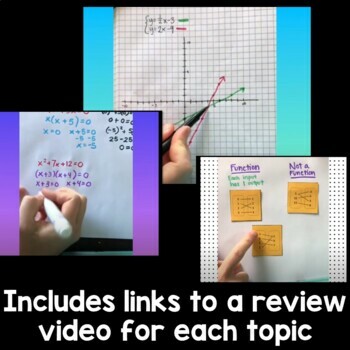 I have created an Instagram account to supplement this resource: @algebrareview. All the problems, answers, and helpful videos for each topics are included on this account. 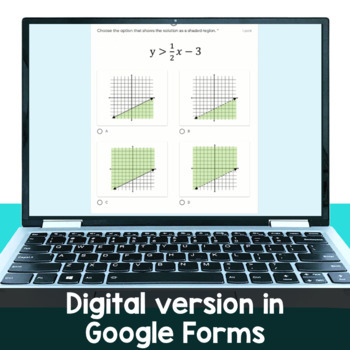 You and your students can access these for free either through Instagram or by going to https://www.instagram.com/algebrareview in a web browser.